Edmund tried his best to keep it together. school, chores, dinner, and then finally bed. couldn't resist the tug of discovery. I adore the word play. And I especially love that you managed to create a universal story about finding yourself by exploring the world, but also remembering where you came from (i.e., the people who will reel you back in when you unravel) in a children's picture book. 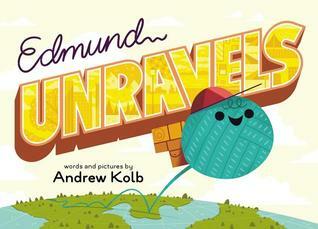 Edmund Unravels is proof that a skillful, playful writer can create memorable characters from just about anything... even a ball of yarn. This would be a great gift for a high school or college graduate who feels the pull of adventure to know that home is always waiting for them when the world becomes too much for them to handle.